Richard Hayes, a pop singer who scored several hits in the early 1950s and later reinvented himself as a radio talk show host, died March 10 in Los Angeles after a long illness. He was 84, according to philly.com. 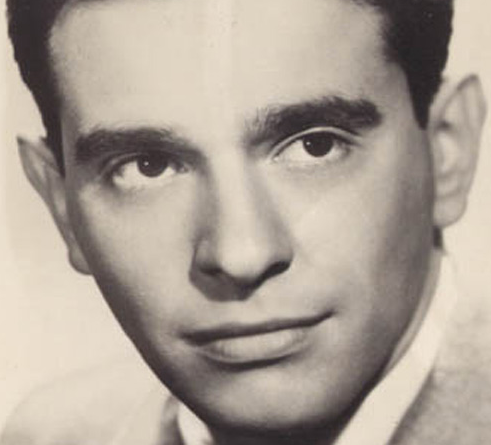 Born in Brooklyn in 1930, he had early success as a recording artist while still in his teens. Between 1948 and 1953 he had 14 top 25 hits, said his son, Jim Hayes. That included four top-10 hits, all on the Mercury label. His most successful record was "The Old Master Painter," produced by Mitch Miller, which reached No. 2 on the national charts in December 1949. Hayes was considered a crooner, and when that genre began to fade, he turned his attention to radio and TV. He was a regular on the radio with Robert Q Lewis and Arthur Godfrey, both of whom had popular entertainment programs. He was a cast member on the ABC television program "Two Girls" and hosted several game shows including "Supermarket Sweep" and "All About Faces," said his son. In the late 1970s he moved into a third career. He became a congenial radio host, first at WMCA in New York, then at WWDB-FM and WCAU-AM in Philadelphia. on "the JFK thing"!--with that, I do know, where ever you are, you are laughing and smiling at that!) your warmth friendliness will always resonate !!! God bless !! !